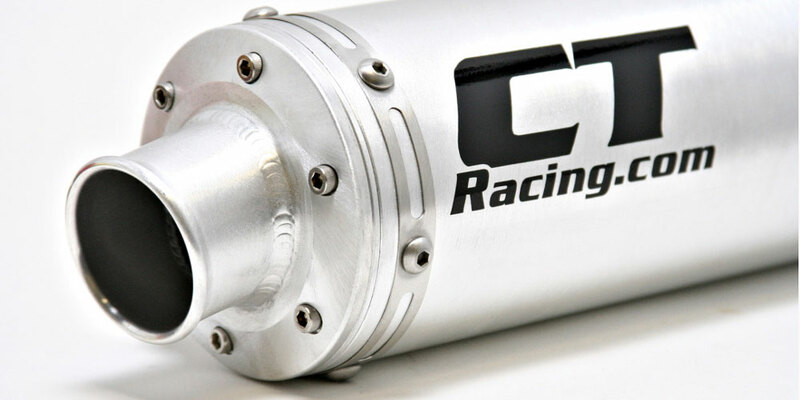 CT Racing has finished the development of the Raptor 700 pipe. 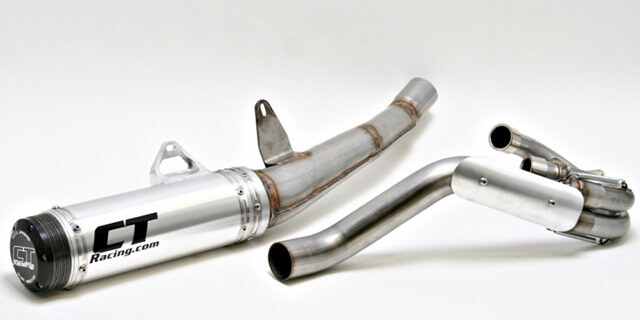 Contrary to popular belief, the fuel injection system does not re-calibrate itself for adding an exhaust system or for any other motor modifications. The stock fuel injection system only re-calibrates for an air density change. 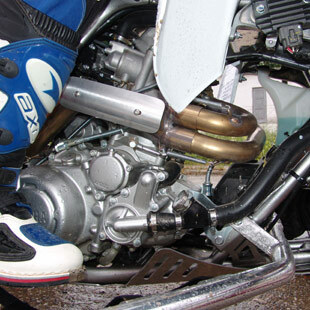 CT pipe kit makes the 700 go very lean with the stock settings, as any good pipe will do. Once fuel management is addressed, we are picking up over 10 horsepower. Take a look at the whopping 21 horsepower increase we have at 9000 RPM. The fuel management system does allow for tuning if you do some mods down the road, such as adding a high compression piston, cam, etc. The kit is shipped with 11 discs as we have found this to make the most horsepower. With 11 discs, we are producing a stealthy 98dBs of sound. That can be easily reduced by removing a couple of discs. 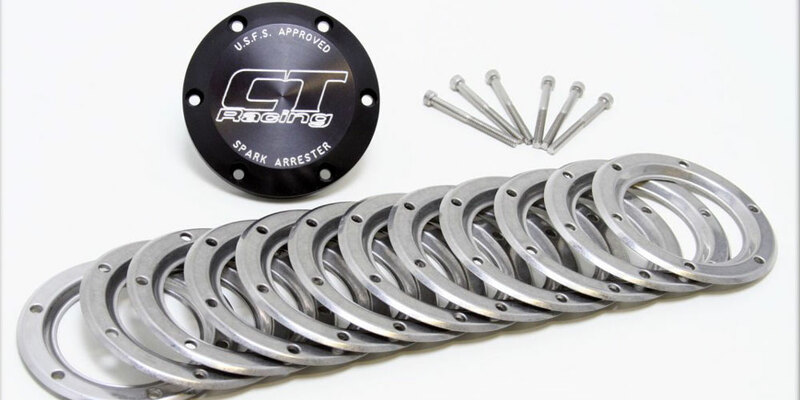 We also offer an open turn down end cap for short course racing. The disc system is a U.S. Forestry approved spark arrestor. 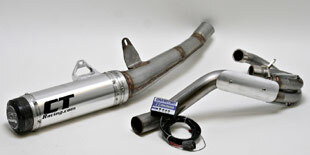 PP-Y700-PK1 Raptor 700 Pipe Kit with Dynatek fuel injection controller. 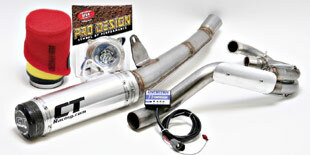 We recommend Pro Design Pro Flow fillter Kit. 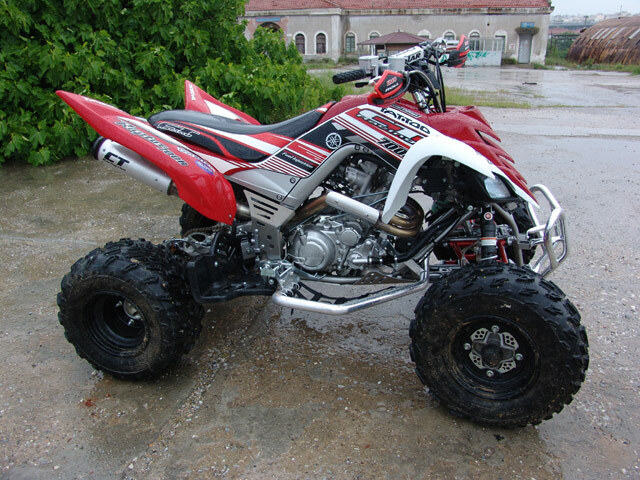 PP-Y700-PK2 Raptor 700 Pipe Kit with Dynatek fuel injection controller and Pro Decign Pro Flow Foam Air Filter. 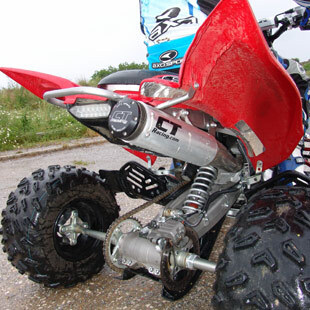 Pro Design Pro flow Foam air filter. PP-Y700-PK3 Raptor 700 Pipe Kit with Dynatek fuel injection controller and Pro Decign Pro Flow K&N Air Filter. Pro Design Pro flow k&N air filter. You can use Turn Down End as an option. 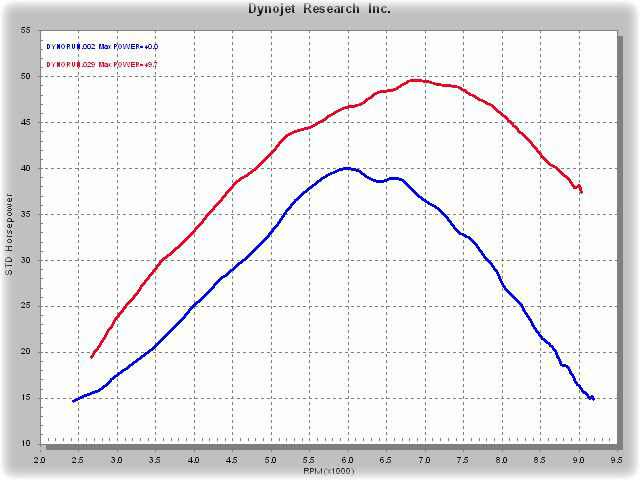 The dyno chart above shows the stock Raptor 700 horsepower in blue.. CT Sonic Pipe with the Dynatek fuel injection controller and the stock air filter a lid off the air box is shown in red. 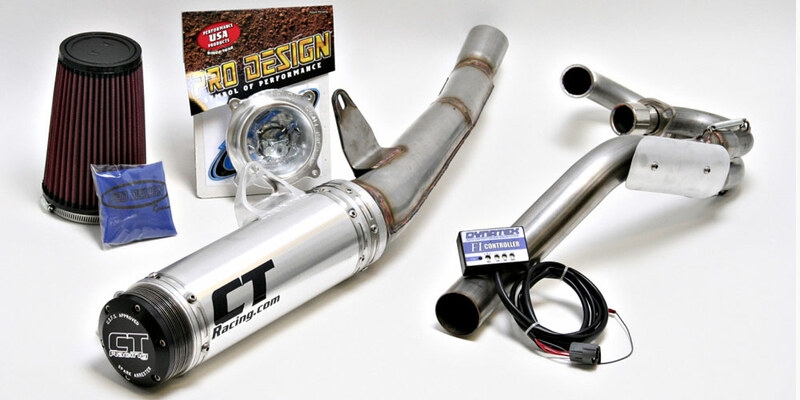 You an get 50 horse power with a K&N filter kit.